Taste the real flavour of fruit and vegetables thanks to VitalCare Box compartment with humidity control. Enjoy every piece of fruit and greens with all the vitamins and nutrients, our moisture control will take care of your food. TempGuard new refrigerators with sensors inside the fridge to control temperature, to keep your food in the best conditions. LongLife No Frost technology will keep your food fresh for a longer time, thanks to independent recirculation circuits. You can keep the best moisture in your fridge with this system and also prevent ice and frost, so your food will remain fresh for a long time. Less consumption and more silence with the high efficiency A++ motor inverter. This engine produces less friction to reduce any noise and it is also more durable and environmentally friendly. 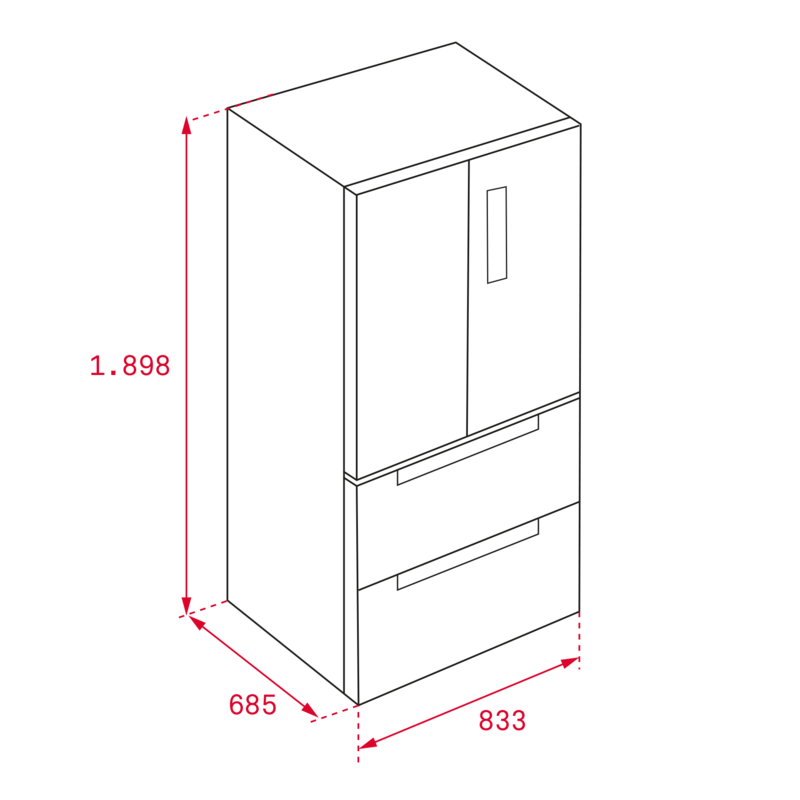 Box Zero drawers keep Gourmet box at a lower temperature than the rest of the food inside the fridge. The best choice to keep meat and dish fresh for days.